Earlier this year in London, a single day conference was held that was all about the digital out-of-home entertainment sector, hosted by site partner Kevin Williams of KWP Limited. Topics were covered that apply to the arcade industry as well as any others that provide some sort of entertainment not intended for the home. That conference was enough of a success that it’s now headed to the US next year. 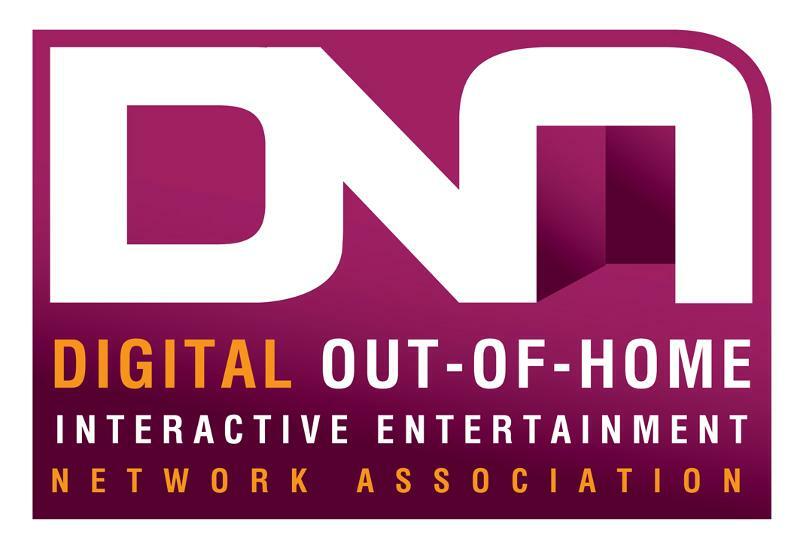 The Digital Out-Of-Home Interactive Entertainment Network Association – DNA for short – has announced that the conference will be taking place in Los Angeles on April 26th, 2012. According to the press release: “This new US conference representing manufacturers, suppliers and operators of Video Amusement, Interactive Digital Attractions & Simulators, Content Provider, Digital Kiosks, ExerGaming, KidTainment / Videmption, Digital Hospitality, RetailTainment and EduTainment; a conference that will define these emerging trends and technologies to an audience hungry for informed and lively discussion.” More details can be found in the press release below. Perhaps Arcade Heroes will be involved in this conference but we’ll have to wait and see. Digital Out-of-Home Interactive Entertainment Conference Announced for America! [Orlando, 10 November 2011] – The inaugural USA One-Day seminar for the Digital Out-of-Home Interactive Entertainment sector has been confirmed to take place on April 26th 2012 – hitting the “Entertainment Capital of the World”! Los Angeles will play host to the first American DNA (Digital Out-of-Home Entertainment Network Association) Conference. The DNA US Conference is a one-of-a-kind event that promotes and defines all aspects of the Digital Out-of-Home Entertainment (DOE) sector – and will be coming to Los Angeles, California on the 26th of April 2012, allowing a broad audience to gain an understanding of this fast growing, influential market. This new US conference representing manufacturers, suppliers and operators of Video Amusement, Interactive Digital Attractions & Simulators, Content Provider, Digital Kiosks, ExerGaming, KidTainment / Videmption, Digital Hospitality, RetailTainment and EduTainment; a conference that will define these emerging trends and technologies to an audience hungry for informed and lively discussion. Building on the successful holding of the first conference of its kind in London during 2011, the organizer of the Digital Out-of-Home Entertainment Network Association (DNA) has brought this groundbreaking event formula to the USA. For the first time ever in the U.S., leaders shaping and defining the application of the DOE game experiences in the public-space scene will present to an audience of executives, developers, operators and investors eager to gain insights into this burgeoning sector. The DNA US Conference has taken on its main remit in defining the Market, Technology, Opportunities and the Best Practices to move forward in the digital out-of-home sector. Already, leading associations, media providers, and corporations have stated their support of this brand new event. At this time, we can confirm that the Themed Entertainment Association (TEA) and the Immersive Technology Association, as well as leading attraction and amusement trade publications as RePlay Magazine, Vending Times, InterPark and The Stinger Report, have offered their support of this event. Kevin Williams, Director of the DNA Conference owner and organizer, KWP Limited, underlined this momentous development in the establishment of the DOE sector internationally. The starting gun had already been fired with the appointment of Michael Mascioni as Project Manager to handle the extensive organizational duties for this first US event – but now the event’s momentum is building with the announcement of a location and confirmed date. 1. New Models for Audience Participation in Public Places – New audience interaction/participation systems and services are enabling greater and more dynamic audience participation in theaters, arenas, and other leisure facilities, including interactive games and shopping. This session will examine leading edge strategies for exploiting such systems and services. 2. Riding the Wave of Gesture-based experiences in leisure facilities – Gestural entertainment, marketing, and other experiences in amusement parks, museums, and other leisure facilities, are rapidly expanding the scope of interactive experiences in leisure facilities by offering more intuitive user experiences. This session will examine how such experiences are being applied in such facilities. 3. Augmented Reality’s Next Stage in Leisure Facilities – Ready for Prime Time? Mixed reality and augmented reality experiences have started to emerge in amusement parks and other leisure facilities – How are they being conceived and who are the leaders in delivering these experiences? 4. The New Arcade! – The Internet has opened up key new opportunities for games in arcades, cafes, and other leisure facilities. What has been the impact of Internet gaming systems and other technologies on the traditional arcade, and what are the best strategies for exploiting this important market? 5. Social networking and apps in the public-space (Broken into two sessions, one on social media in the public-space and another on apps in leisure facilities) – Social networking is playing an increasingly important role in the digital out-of-home market, along with the growing use of apps for entertainment in leisure facilities as amusement parks and museums; this session looks at creating key new user interaction, entertainment, and marketing opportunities. 6. Innovation from the Labs – Digital out-of-home labs, R&D units, and trend groups are exploring more diverse and broader interactive experiences relevant to the digital out-of-home market that utilize tablets, mixed reality, holography, and other new technologies discussed for the first time. 7. The New Digital Fitness & Sport Horizon – Reviewing the emerging Exer-Gaming sector and the new developments that have made this new application the ‘must have’ fitness and sports training tool for the new sophisticated audience beyond the home market. 8. Getting the Message Out – A look at the needs of this emerging sector and its diverse elements towards getting publicity and the best way to approach the media that covers it and those looking to know more. 9. Interactive Laser Experiences in Leisure Facilities- the Next Era – Interactive laser experiences have evolved considerably from basic laser tag games. This session will examine the growing impact of next-generation interactive laser experiences in a diverse international market. The Digital Out-of-Home Interactive Entertainment Network Association (DNA) Conference is an international seminar for the Digital Out-of-Home Interactive Entertainment (DOE) sector – covering manufacturers, suppliers and operators of Video Amusement, Interactive Digital Attractions & Simulators, Content Provider, Digital Kiosks, ExerGaming, KidTainment / Videmption, Digital Hospitality, RetailTainment and EduTainment. The conference is part of the DNA Association, operated exclusively by KWP for the ground breaking organization representing those working in this sector.